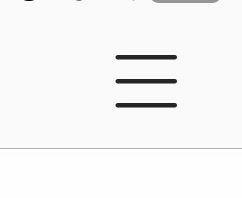 The screen that tells you Time on Instagram has a bar graph that looks like screen for most number of step apps. To access the screen its fairly simple. Just follow these steps and you will know how long you have spent on Instagram. NOTE: This function is only available on the app, not via the Instagram website. 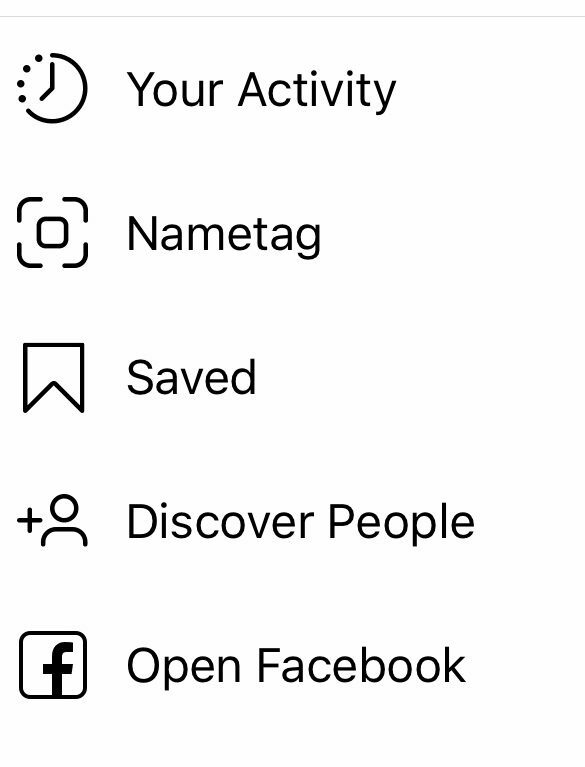 From the app, click on the profile button, which is the one on the lower right of the screen that looks like the silhouette of a person. That will take you to your profile screen. 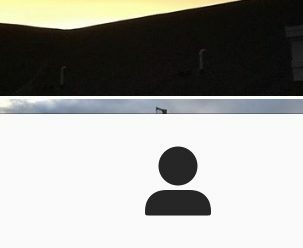 Once you make it to your profile screen, click on the 3 lines on the top right of the screen. That will get you to the settings page. At this point, click where it says Your Activity. With that, you are now at Your Activity. 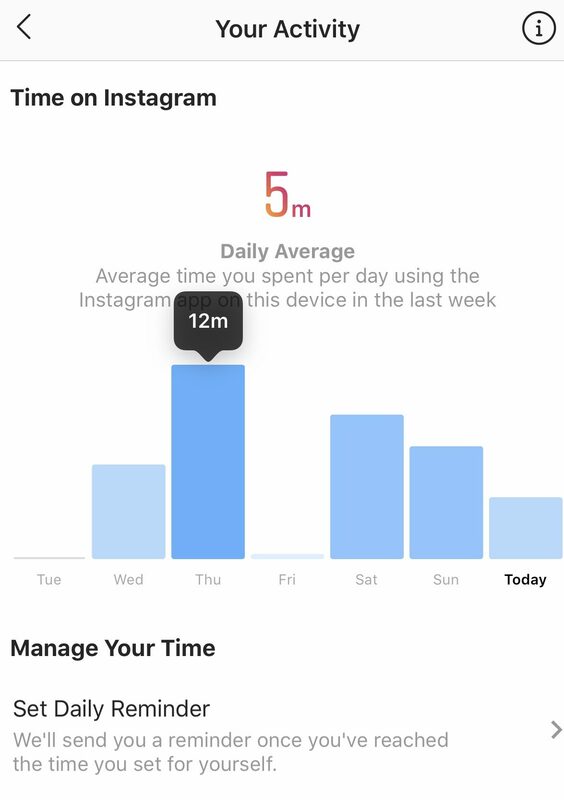 If you want to see specific time for any of the 7 days listed, just press and hold the screen over the bar for that day and you will see a pop up that tells you how long you were on that day. If you think you have been on too much and you want to set yourself a reminder limit, you can even set that up by clicking Set Daily Reminder and selecting how long you want to limit yourself to. 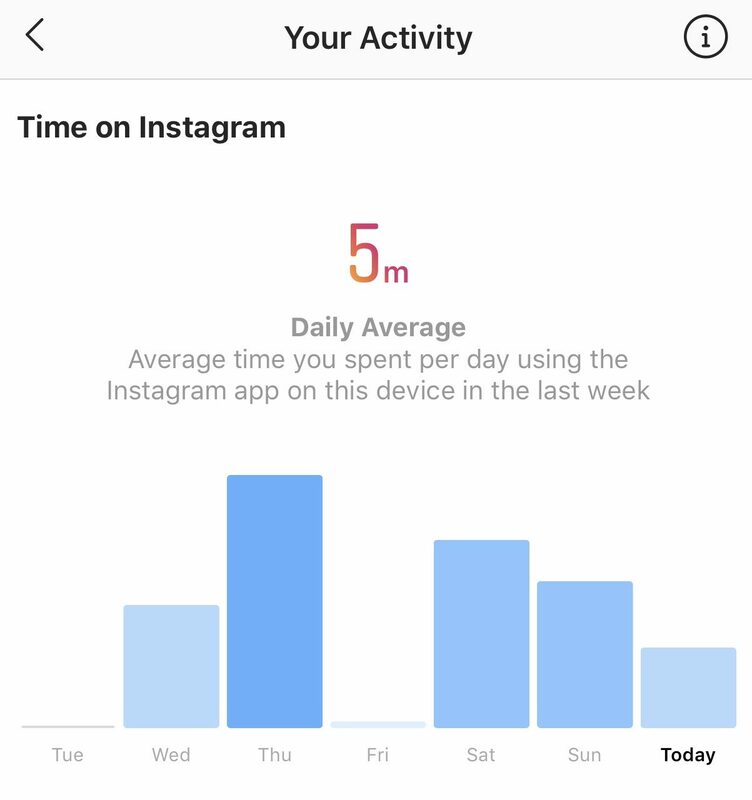 And with that, you now know how to track your usage on Instagram.